Sail, Past: The Canadian Pacific steamship (and conveyor of Europe-bound hockey teams) SS Montcalm makes a mid-channel turn in April of 1937. Canada opened the IIHF World Championships on Friday and they played another game today. In both cases, this year’s team did what Canadians usually do when the tournament is played in Prague: they skunked a lesser hockey nation. On Friday it was Latvia, we crushed (Sportsnet), downed (CBC), levelled (The Score) and/or piled on (Hamilton Spectator) by a score of 6-1. Today it was Germany we steamrolled (IIHF.com), routed (National Post), dominated (CBC.ca), and/or trumped (Hockey Canada). The score this time was 10-0. I’m exaggerating, of course: we haven’t always made a clobbering debut in Prague. In fact, with today’s win, we’re only just now up to 50 per cent in terms of initial Euro-whuppings in the Czech capital. The breakdown looks like this: of the ten occasions the competition has been played there since 1930, Canada has been in attendance eight times. Those have indeed included some smoking starts, with keelhaulings of Germans (5-0 in 1933), bushwhackings of Poles (9-0, 1959) and fricasseeings of East Germans (9-1, 1985). But we’ve also only lightly pan-fried Swedes (3-2, 1938) and barely deglazed France (4-3, 1992), while in 1978 we — somehow; wait, what? — Canada actually lost to Finland (4-6). The last time the world played in Prague, 2004, Canada opened its account by rallying to tie Austria, 2-2. Though not to worry: we did eventually win gold that year, as we’d done before in Prague, in 1959 and 1938. The first time the world went there to play hockey was in February of 1933. Canada was represented by the Toronto Nationals, who’d earned the trip by winning the 1932 senior hockey championships, beating Fort William to claim the Allan Cup. That’s how it worked in those years, mostly, the Allan-Cup winner taking up the cause of the maple leaf on European ice — except when the runners-up went, as they did (for instance) in 1934, when the Saskatoon Quakers went to Milan in Italy to play. With a name like Nationals the 1933 team seemed perfectly suited to the job they were taking on, but there was more to their name than plain patriotism. Sponsored by Toronto’s National Yacht Club, the Nats were known colloquially as the Yachtsmen or, more often, the Gnats. That they owed to their full and not-to-so-mighty-after-all name: the Toronto National Sea Fleas. 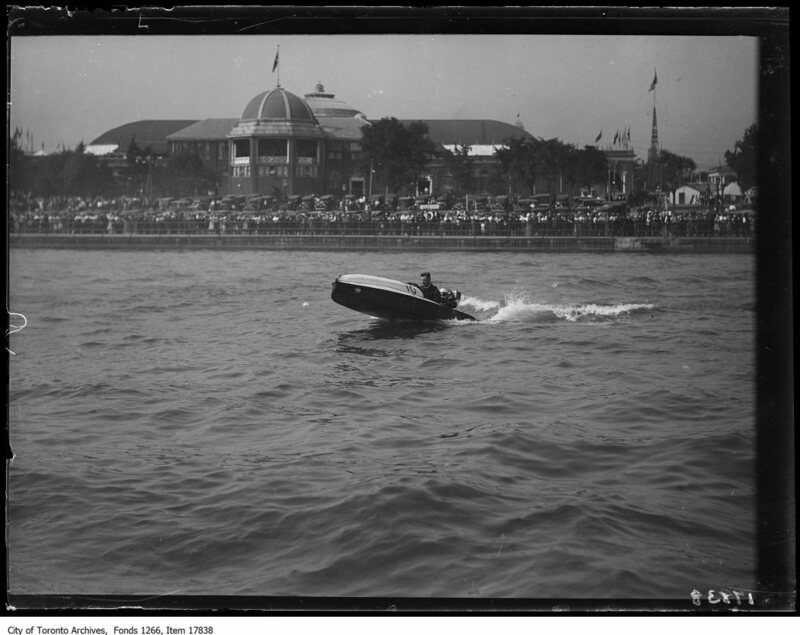 See Flea: Ready for racing, a sea flea on the water at Toronto’s Canadian National Exhibition in September of 1929. The team’s manager was a fan of marine parasites, I guess — no, sorry, the actual story is that he was a keen racer of the small outboard hydroplanes — early jet-skis, sort of — that enjoyed a bit of a heyday in the 1920s and ’30s across North America and Europe. So that’s why Canada’s national hockey team went to the world championships in ’33 with a logo on their red sweaters that looked like a rising torpedo or a … speedy cucumber? While teams before and after them donned new national-team sweaters for the world tournament, the Sea Fleas were satisfied to play in their regular duds. That was a good year to be a hockey fan in Toronto: on the night of the April day that the Sea Fleas arrived back in town with their cup, the Maple Leafs beat the New York Rangers to win the club’s first Stanley Cup. When in May the Leafs threw themselves a banquet at the Royal York, they were good enough to include not only the triumphant Sea Fleas in the festivities but a raft of other accomplished local teams, including O.H.A. junior Marlboros and National midgets as well. Mayor William James Stewart regretted that city bylaws prevented him giving gifts to the professional Leafs, but he was pleased to lavish the senior Fleas with wrist-watches. Harry Watson didn’t return as the coach the following year, though most of the players stayed on. There some ongoing question about who would replace Watson before the team’s hydroplaning manager decided to take the bench. Beyond his interest in boat racing, he had experience in international hockey, having served as assistant manager with the 1928 University of Toronto Grads when they won Olympic gold at St. Moritz in 1928. He was 32, scion of a sewing-machine and skate manufacturer. His name was Harold Ballard. On the domestic front, the team fell out of the 1933 Allan Cup early on, a failure that did free them to head off to Europe in plenty of time to get to their Prague appointment. On February 2, Ballard and his ten players caught the 10.45 p.m. train from Toronto’s Union Station for Halifax. Two days later the team took ship and sailed away. 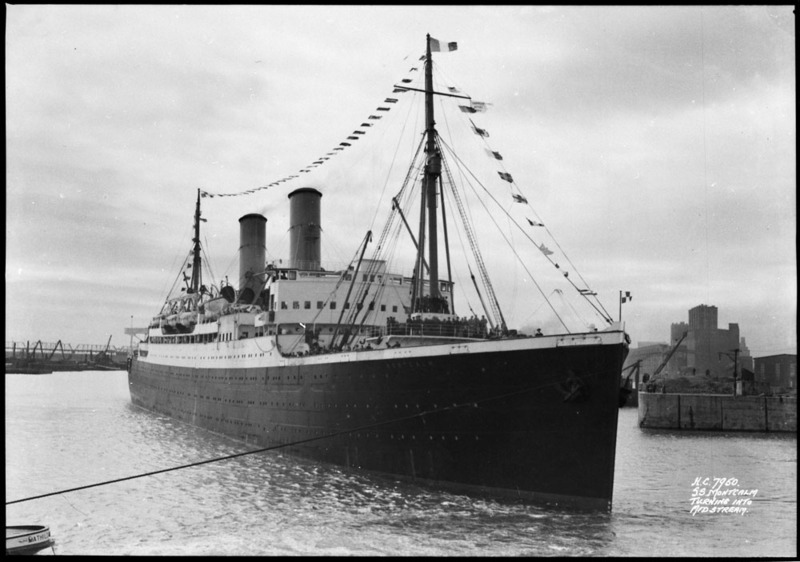 It was the Canadian Pacific steamship SS Montcalm they were aboard, a lucky ship for Canadians on their way to win hockey titles, as might or might not have been noted as they headed out in the Atlantic chop: she’d borne Harry Watson’s Granites to Europe in 1924.